*At the time of publication (June 2013), tamoxifen did not have a UK marketing authorisation for this indication. The prescriber should follow relevant professional guidance, taking full responsibility for the decision. Informed consent should be obtained and documented. See the General Medical Council’s Good practice in prescribing and managing medicines and devices for further information. † At the time of publication (June 2013), raloxifene did not have a UK marketing authorisation for this indication. The prescriber should follow relevant professional guidance, taking full responsibility for the decision. Informed consent should be obtained and documented. See the General Medical Council’s Good practice in prescribing and managing medicines and devices for further information. © NICE 2013. 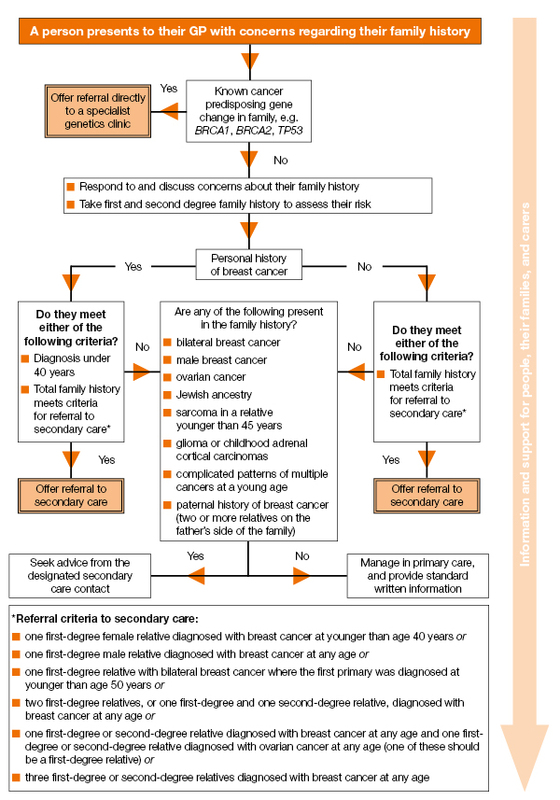 Familial breast cancer: classification, care and managing breast cancer and related risks in people with a family history of breast cancer. Available from: www.nice.org.uk/guidance/CG164. All rights reserved. Subject to Notice of rights.